Directed by Mark Scherer and the Millikin University Men’s Basketball Team, Little Hoopsters teaches teamwork, dribbling, passing, and shooting in a non-competitive, fun environment. Junior Golf Classes at the DISC! Classes begin January 7 – Register today! Date: Thursdays, January 10 – 31. Time: 5:30 – 6 p.m. or 6:15 – 6:45 p.m.
Decatur Park District pros offer an introduction to golf, teaching hitting and putting fundamentals, golf rules and etiquette. Clubs are provided for those who need them. Students may transfer between classes with instructor approval. Time: 5:15 – 6 p.m. or 6:15 – 7 p.m.
Intermediate Junior Golf is designed for youth aged 10 – 17 who have successfully completed Junior Golf. 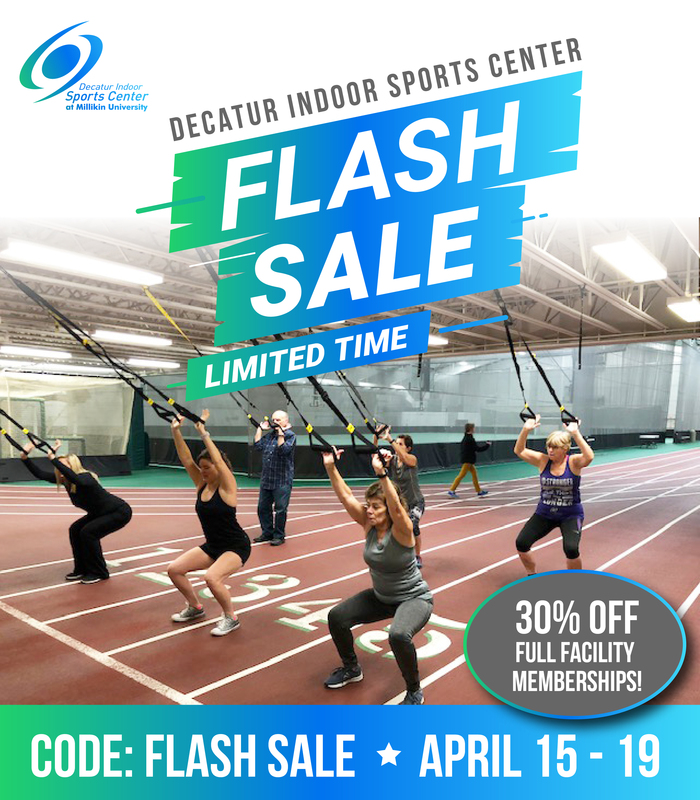 Featuring an all-inclusive membership, with fitness center, group fitness classes, ActivTrax, climbing wall, child care, stroller club, indoor golf nights, discounts on birthday parties, pool passes, and more! Stop by our Open House for tours, DMH health screenings, free Super Saturday Recess, and savings on all full-facility, all inclusive, annual passes! Still thinking of a perfect gift to give? 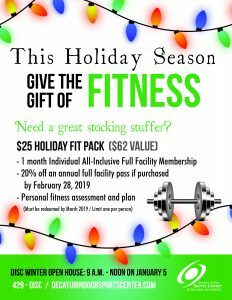 Give the gift of fitness this year at the DISC. Our Holiday Fit Pack goes on sale Saturday December 1st for only $25. Stop in or call Melissa today at 429-3472 with any questions. Thank you to all who participated in the 2018 Turkey Trot! Race results are at the link below. Be sure to follow Decatur Park District on Facebook for pictures from the event!